Collective bargaining created the middle class in North America. Many benefits workers enjoy today, such as the eight-hour day, overtime pay, weekends, no child labor, health care and retirement benefits were all first negotiated by labor unions. Indeed, most of those things were first negotiated by the UMWA. The contracts are enforced by the union to ensure the employer honors them. 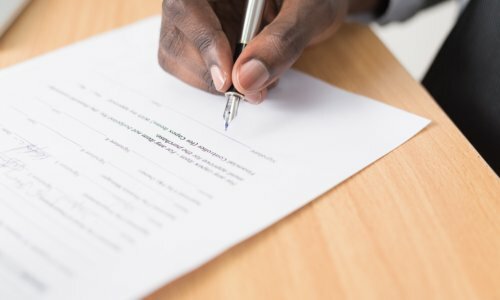 A contract is a legally-binding document and is the only way to be sure that your pay and benefits will remain secure during the term of the agreement. Whenever a contract is up for renewal the UMWA President will designate a Lead Negotiator. In consultation with local union leadership, the Lead Negotiator works with UMWA International or District staff to negotiate a new contract with the employer. When necessary, the Research and Contracts Department and the Legal Department advises and works on the negotiations as well. The United Mine Workers of America is constantly undergoing negotiations with dozens of employers at any one time. It is a policy of the union to not publicly discuss negotiations. If you have a question about any ongoing negotiations or your current contract, contact your District office or the Research and Contracts Department (703) 291-2415.